It’s been a busy start to the month of June, I wanted to share with you all the next addition to the wheelchair quilts that I have made. The first one is made with a vintage feel to the fabrics, that show case buttons and sicssors with dress forms framed with a button border fabric. I then quilted orange peels in each block to finish it off. The next quilts where made from pinwheel blocks that I received in an international block swap. 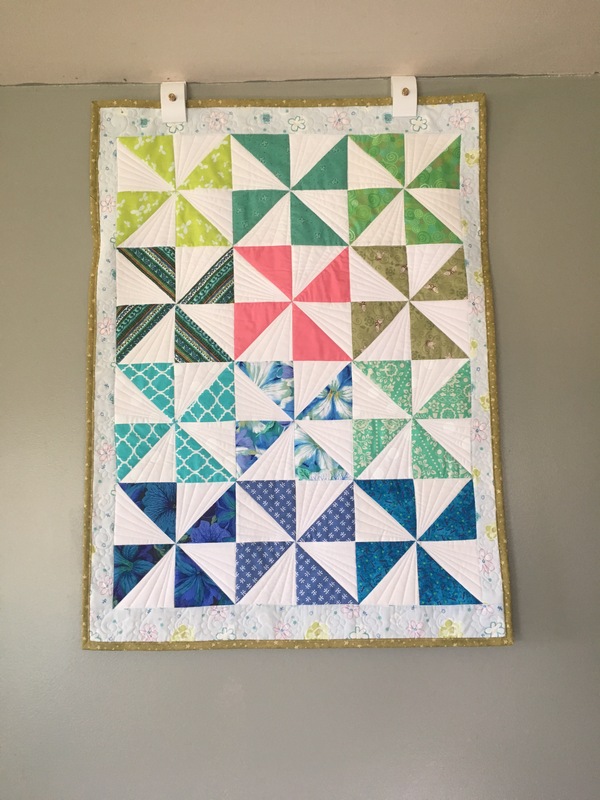 Each block was created with different fabrics making the quilts unique, the first quilt I chose to make a continuous layout of pinwheels in a variety of colors. 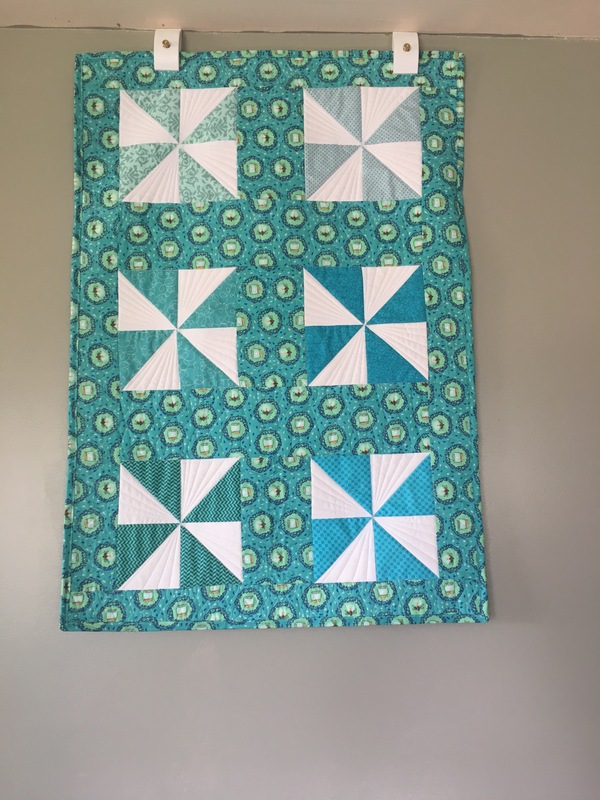 I then framed it with a whimsical light blue fabric with dasieys and then quilted straight lines in the pinwheels and daisy chain flowers on the outer edge. 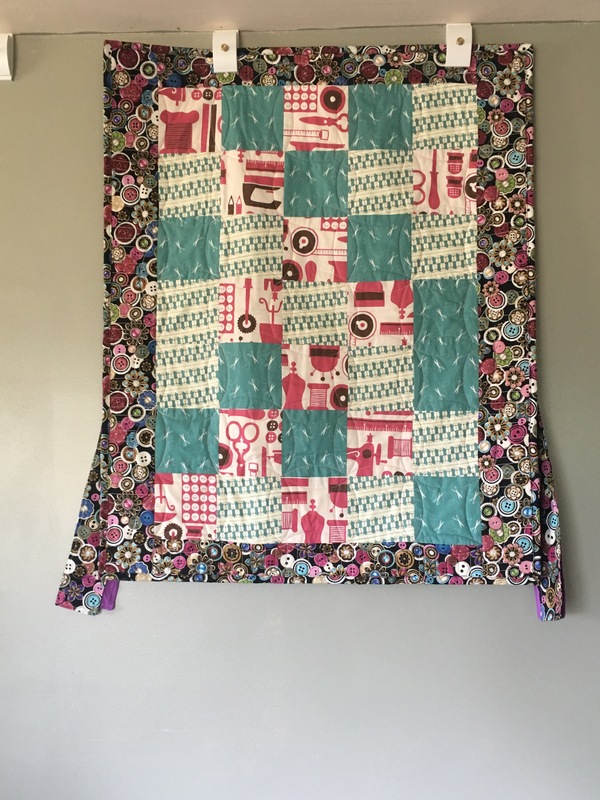 The next quilt was made with the remaining teal and green blocks framed with a fun bee and mason jar fabric. I then top quilted an infinity loop around the Pinwheels and added more straight line quilting in the pinwheel blocks to finish it off. We are getting closer to are goal of 20 wheelchair quilts, it makes my heart happy to be able to help others and I know the elderly will truly appreciate the quilts in the winter months.